Through our Supreme Court Advocacy Program, the Training Division provides assistance to federal defender staff and panel attorneys representing CJA-eligible defendants in the United States Supreme Court. The Program brings together a variety of resources, including Sidley Austin, LLP; the Defender Supreme Court Resource & Assistance Panel (DSCRAP); and the Supreme Court Institute at the Georgetown University Law Center. Sidley Austin's Supreme Court practice group provides a range of services, such as arranging moots, performing legal research, providing substantive and strategic advice, or editing and writing drafts of merits briefs. For more information on Sidley's pro bono Supreme Court practice, click here. DSCRAP brings together defenders from across the country who have expertise and practical experience on the particular issues of federal criminal law that come before the Court. Like Sidley, DSCRAP attorneys can offer assistance on all phases of cert proceedings. Co-Chairs of DSCRAP are: Fran Pratt, Assistant Federal Public Defender, Eastern District of Virginia (fran_pratt@fd.org); Alan DuBois, Federal Public Defender, Eastern District of North Carolina (alan_dubois@fd.org); and Brett Sweitzer, Assistant Federal Defender, Chief of Appeals, Federal Community Defender Office for the Eastern District of Pennsylvania (brett_sweitzer@fd.org). Georgetown's Supreme Court Institute specializes in providing expert assistance in oral argument preparation, particularly to those attorneys who will be arguing before the Court for the first time. Click here for more information on Supreme Court Institute moots. 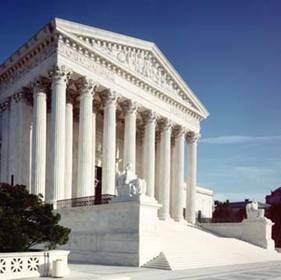 If you would like to take advantage of the resources we provide through our Supreme Court Advocacy Program, please contact Craig Crawford, Attorney-Advisor (202-502-1338, Craig_Crawford@ao.uscourts.gov). You determine the level of assistance that we will provide, from consultation with an attorney, to moot court practice sessions, to research assistance, to brief writing or editing. Please be aware that the Supreme Court Institute's mooting schedule generally fills up far in advance of argument, on a first come, first served basis.